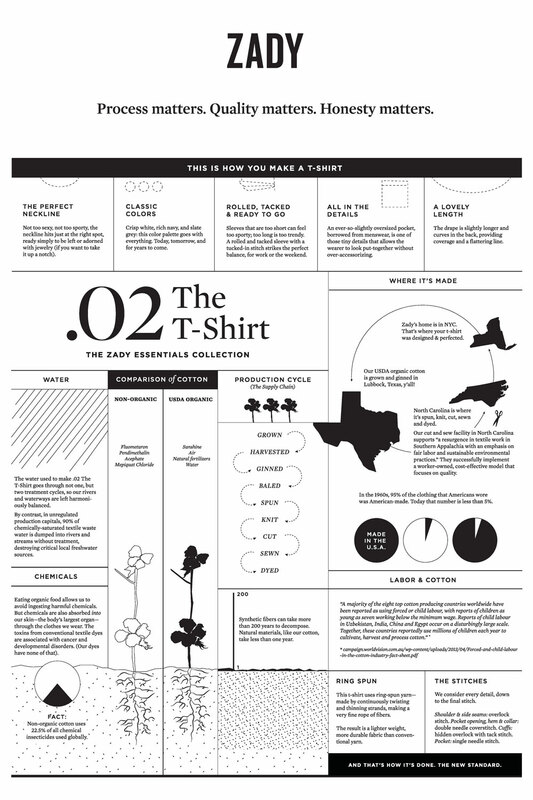 When is a T-shirt more than just another T-shirt? For ethical e-tailer Zady, the perfect topper is one that is as beautiful as the journey it took to create it. 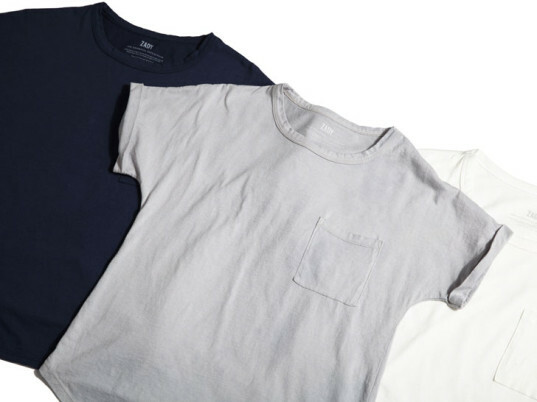 The latest in its in-house “Essentials” collection, Zady’s .02 T-Shirt is as defined by its rolled-and-tacked sleeve, slightly oversized pocket, and curved hem as it is by its product story. For one thing, it’s completely transparent—supply-chain-wise, that is. Zady partnered with American suppliers at every step of the process, from organic cotton farmers in Lubbock, Tex., to low-impact dyers in Burlington, N.C. Even the design of the garment has a locavore twist. To create the pattern template, founders Maxine Bédat and Soraya Darabi worked with The Pratt Institute’s Brooklyn Fashion + Design Accelerator in New York City, where the brand is based. Click the infographic below to view the details. When is a T-shirt more than just another T-shirt? For ethical e-tailer Zady, the perfect topper is one that is as beautiful as the journey it took to create it. The latest in its in-house "Essentials" collection, Zady's .02 T-Shirt is as defined by its rolled-and-tacked sleeve, slightly oversized pocket, and curved hem as it is by its product story. For one thing, it's completely transparent�supply-chain-wise, that is. Zady partnered with American suppliers at every step of the process, from organic cotton farmers in Lubbock, Tex., to low-impact dyers in Burlington, N.C.